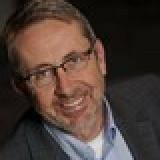 In his current role, Greg Ratcliff leads the Vertiv global Internet of Things (IoT) big data group and product lifecycle management with the primary mission of increasing efficiency, bringing high value predictive maintenance and product health indices to our customers. Prior to joining Vertiv Services, Greg led the monitoring product management and marketing efforts at Liebert North America. He has several patents in remote control and power management, has published many articles and white papers, and conducts in-person presentations worldwide. Greg has undergraduate degrees in applied mathematics and information systems, and has a master’s degree in business administration.